Winemakers posses a foresight I have trouble imagining. To taste a freshly pressed grape and envision how it will evolve in one, five, or ten years involves a voodoo that surpasses my cognitive abilities and gains endless respect in my book (or blog). I have even more respect for those women who forge their way in the wine world, an industry still largely dominated by men. 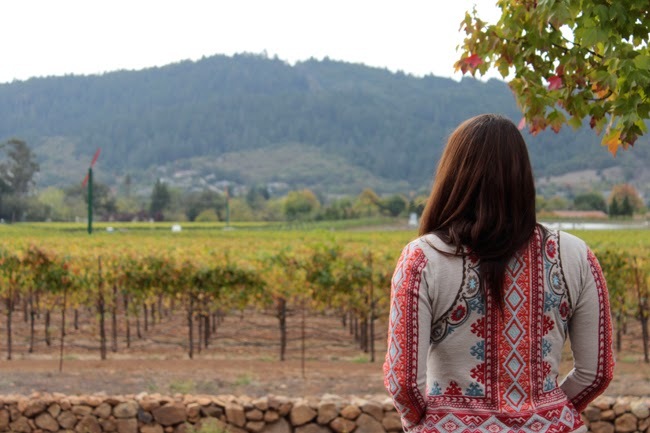 Katie Madigan is a young female winemaker for St. Francis Winery and Vineyards in Sonoma, a medium size winery producing both artisan and nationally distributed wines. 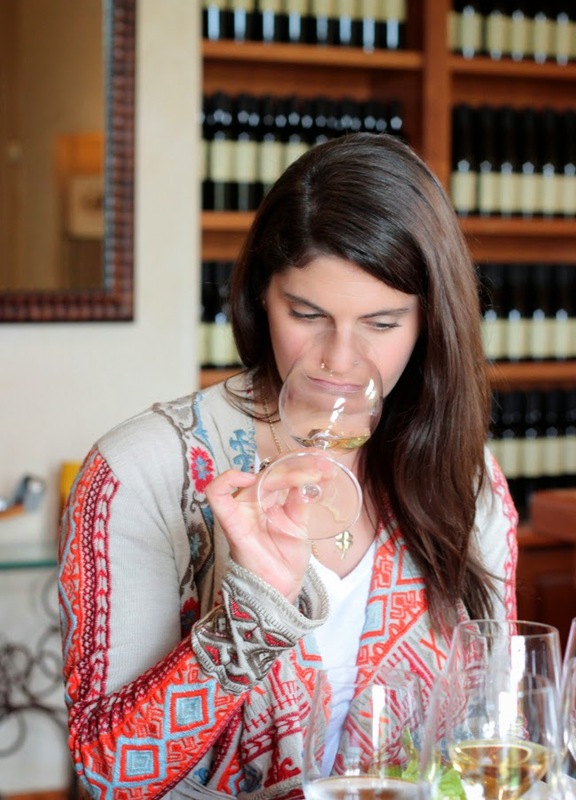 Smart, down to earth and confident, it is immediately apparent that she loves wine and all aspects of its production. 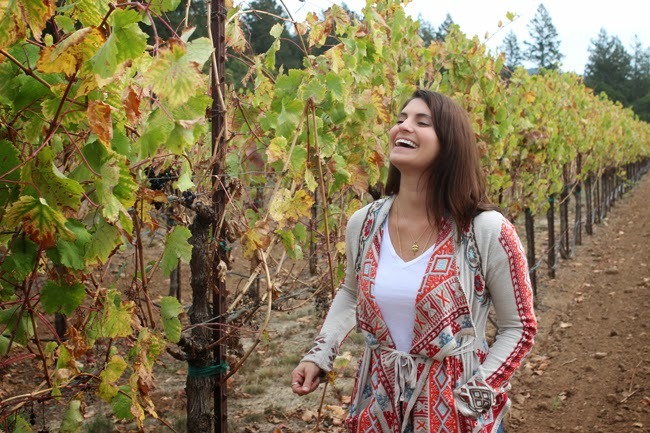 Katie worked her way up to winemaker at St Francis, starting as a harvest intern after college and continuing her education through the prestigious UC Davis Viticulture and Enology program all while working at the winery. 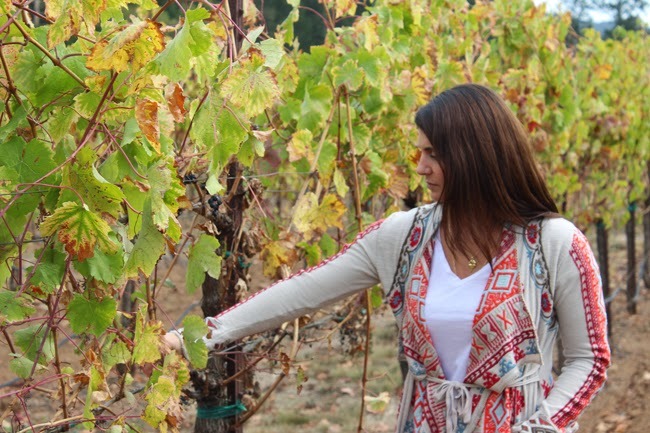 I recently spent an afternoon with Katie as the 2014 harvest was wrapping up at St. Francis. 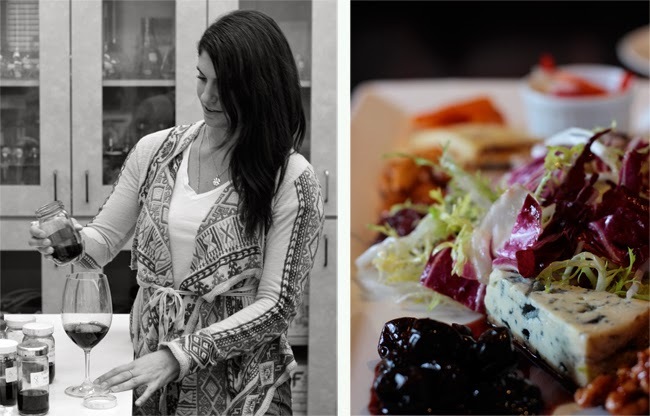 She led me through a guided pairing of wines and exquisite plates as we chatted intermittently about sensory analysis, the expectation for ladies to still be feminine in 2014, mentorship, and the power of a hot meal. She then took me to the lab, cellar, and vineyard to show the breadth of her job. As we watched the last of the 2014 harvest finish up primary fermentation, there was a delightful twinkle in her eye. 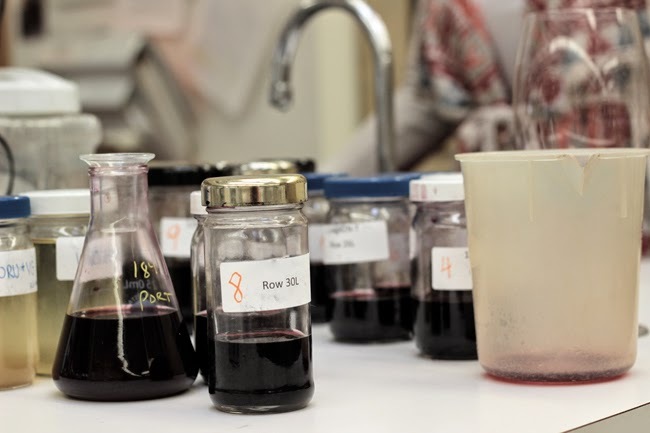 What is your role as a winemaker? 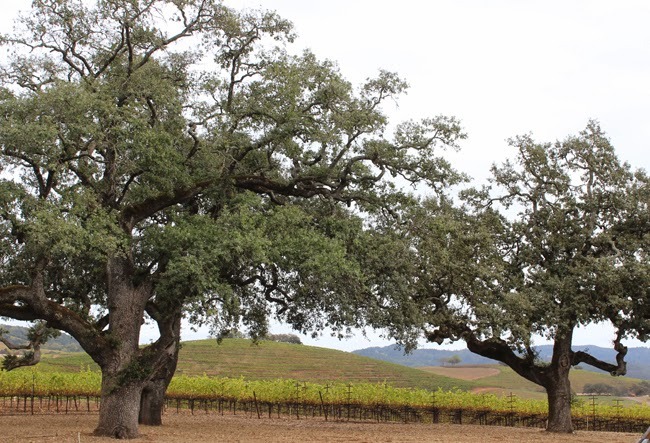 As a winemaker in Sonoma, I believe my role is to really show people true “terroir”. 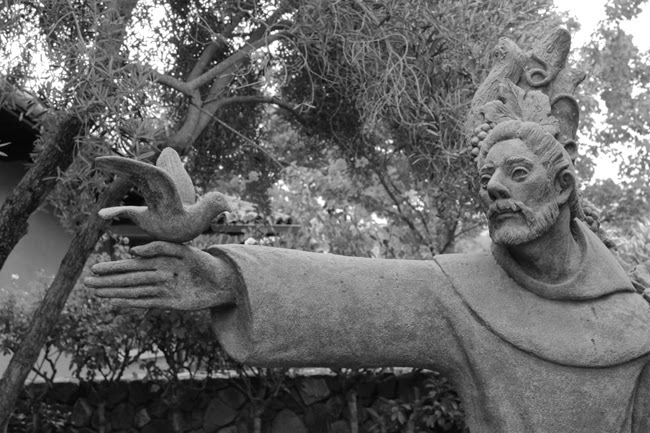 At St. Francis we search the county far and wide for vineyards that are truly expressive and unique in their characteristics. 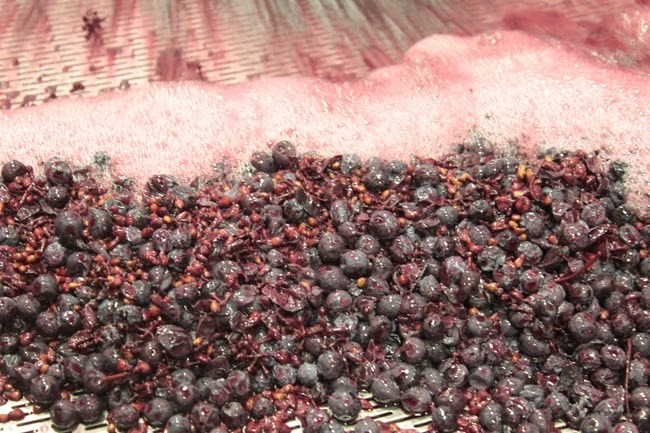 It’s my job to bring out those special qualities through fermentation/ageing, and showcase them in the wine itself. How did you find your way working in wine? 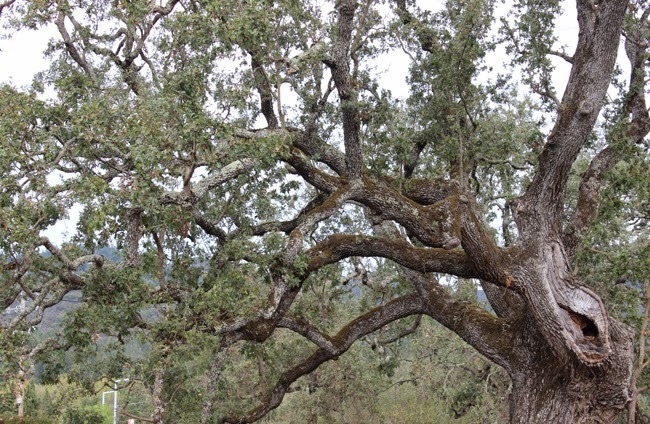 My love for chemistry in college is really what propelled me to take a harvest internship here in Sonoma in 2002. It was so much different than what I had imagined it would be. Splitting my day between vineyards & the laboratory proved to be a magical combination for me. I still feel that same excitement for harvest even now, over a decade later. I have been very fortunate to have worked with some amazing people in this industry over the years, and even more so, many of them have been strong confident women. Sally Johnson-Blum (now Pride Mountain Vineyards) was a winemaker for St. Francis, my first mentor and is still a great friend. She taught me to trust my instincts in winemaking and to just go for it when trying a new technique. What do you wish the average person know about wine? That price does not necessarily equate to quality! St. Francis really prides itself on indisputable value for wine quality. But we want people to think of us not only for their nightly meal, but also on special occasions and holidays. You don’t have to break the bank to impress your guests with our wines. Favorite spot at the winery? At the winery, my favorite spot is definitely in the cellar. That’s where it all happens. 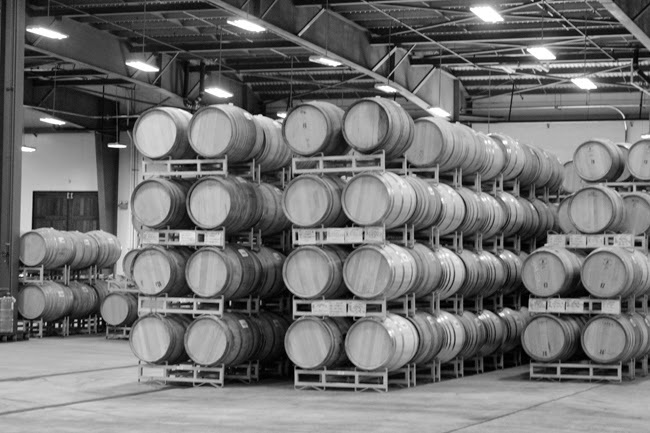 I believe that part of what makes a wine great is the conviction in how you made it. Every day I taste through what’s in tank, I just feel very connected to what I’m making. Much like my winemaking, I concentrate a lot of flavor nuances. I have been eating clean for over ten years now, and I don’t think it gets much better than using local, seasonal ingredients. I’m also obsessed with making my meals freezer compatible, so you can stretch out each season a little bit more. Healthy doesn’t have to be boring, and it doesn’t have to take a lot of time. During harvest I barely have time to put food in the microwave, but I can rest assured that my pre-made meals are all made with real ingredients. I love to cook. It's my therapy. I have not really had a hot meal since harvest but I left work early (which was the time I would usually leave if it was not harvest) and had time to cook. I made a stuffed meatloaf with provolone and spinach and placed it in the slow cooker. It was very comforting. I have to be comfortable, at all times. I can’t be myself if I’m worrying about what I’m wearing. I tend to use both bohemian & country influences, but really I just want my real self to always shine through. What is your earliest childhood food memory? Making irish soda bread with my mom. It’s a family recipe from our aunt in County Clare (who is now 95 years old!). We would make it every year in March. My mom is an amazing cook, and I think those early traditions of being her side-kick has helped to shape my love for cooking as well. What was dinner like at the family table as a kid? Well, both of my parents worked for the airlines when I was a kid so when they went to work they would be gone for days at a time. When we were all home together, it made it all the more special to really sit down and enjoy each other’s company with a great home cooked meal. My brother and I always had so much to tell them we would practically be talking over each other. All these years later, we still get everyone together often and nothing has changed!